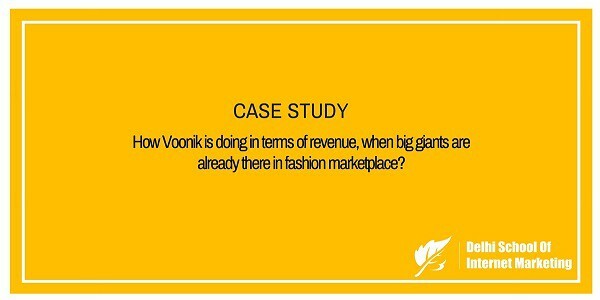 CASE STUDY: How Voonik is doing in terms of revenue, when big giants are already there in fashion marketplace? 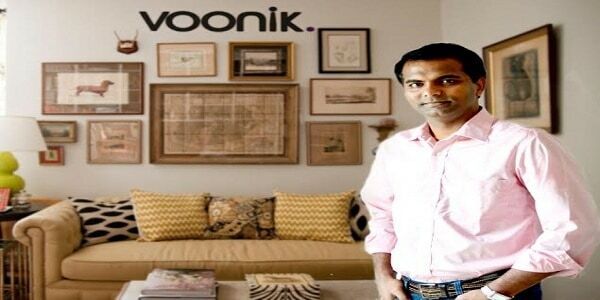 Home > Blog > Blog > CASE STUDY: How Voonik is doing in terms of revenue, when big giants are already there in fashion marketplace? 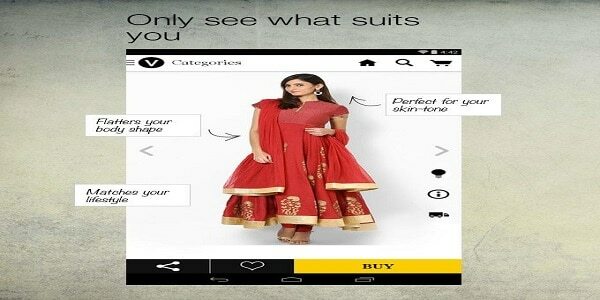 Voonik is a fashion marketplace for women, with a focus on personalization. Founded in 2013 by Sujayath Ali and Navaneetha Krishnan, Voonik app handpicks clothes for users based on their body type, skin tone, and budget and style preferences. It brings the convenience of shopping from multiple stores on one single cart with over 15,00,000 products from more than 5500 stores including top online stores and 3000 brands being available for users. Over 6 million users have already registered themselves on Voonik and the count is going up with half a million female users getting registered every month. Voonik was the second most downloaded fashion app in May. They grew their business from around 2 million GMV run rate to 9 million in the last five months. They currently see 50% of their traffic and transactions from Tier 1 cities and remaining 50% from Tier 2 and Tier 3 cities. [su_box title=”More Case Studies from DSIM” box_color=”#c7c7c7″ title_color=”#000000″ radius=”5″]1) How Mahindra & Mahindra accelerated its marketing strategy to be ahead from its competitors? 2) What Limeroad takes to build India’s largest discovery and managed marketplace for style? This was 2013 when a shaky economy and uncertain business outlook made it a less than ideal time to turn entrepreneurial. But that’s when my co-founder Navaneeth and I launched our company, Voonik. I pitched my idea of creating a new way of shopping that enables users to buy what suits their build, lifestyle, and budget. He was convinced. I returned to India in 2013 and Navaneeth quit Freshdesk to jump into our venture. The first few months were pretty uneventful. We put together a small team and launched a MVP version of the product. I remember the early days with no customers and sales. I will admit it was a daunting period and there was a point when we contemplated pivoting to his Saas idea. But our core belief in this idea was what kept us going. Slowly, traffic built up and sales started happening. 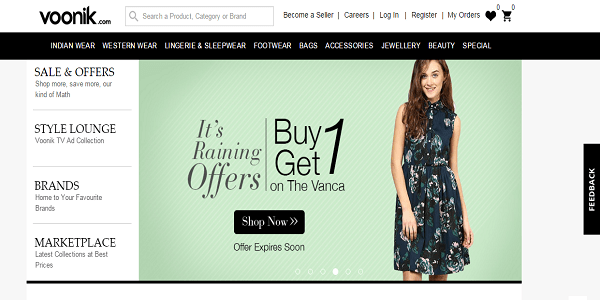 Voonik has its marketplace where retail stores register and showcase their products. In simple, it brings multiple online stores into a single cart. It has 1000 plus brands with 5 lakh products from more than 100 stores like Jabong, Snapdeal, Fashionara, Fashionandyou, Yepme, Zovi etc. A team of six trained stylists work full time and keep recommending the kind of clothes which suit the user. It is powered by an in-house personal shopping platform that makes recommendations to shoppers based on their profile and preferences. Voonik charges the brand or the seller a 15 percent commission on every sale. It does its deliveries with a third party logistic partner. Voonik runs their service as a ‘personalization-on-steroids platform’. Their image search technology is being developed by Mad Street Den an artificial intelligence and computer vision startup based in Chennai which has built a cloud-based platform MADStack. MADStack contains several modules, including object recognition, gesture recognition, emotion recognition and many more powering a wide range of applications and verticals. This enables them to recognize several aspects of a consumer’s experience across physical and digital spaces. Voonik currently relies on Facebook to get Majority of its traffic. It also uses some apps like Laddu which pays users on installing their app. Press releases now and then too helped this startup gain some popularity among the people who have an eye for trendy fashion. ‘The Pitch’ a program hosted by Bloomberg TV also helped them to show case their product and was helpful in getting them their initial funding from Seed fund. For a social shopping platform, Voonik is itself quite social with an active presence on Facebook (435,632 likes), Instagram (10K followers) and Google+ (2,206 followers and 404,195 views). Voonik launched its mobile app last year and rapidly grew to 1M+ downloads and recently achieved a rating of 4.2 on the Google Play Store. They took their app ratings seriously and reached out to customers to troubleshoot in case of any feedback or negative reviews. They also gave priority to support for their app and focussed in growing month-on-month and capturing different segments. After focussing on the modern and traditional segment, their next focus is on western clothes and outfits. Voonik currently sees about 95% of usage on mobile but are active on both mobile and web. Voonik currently considers their desktop website as a secondary channel for their mobile app. They aren’t actively focussed on acquiring desktop users but feel that there are some use-cases where users would prefer to purchase on the desktop and hence do not plan on shutting it down. In terms of experience, Voonik feels that their mobile app provides a better UI and UX compared to the desktop version, as it includes more features.On an average, Voonik sees close to 2,500 purchases daily from 1,500 unique customers, a majority of which is through their mobile app. Push notifications form an important part of the mobile app strategy. Voonik has rolled out its first ever TVC featuring Bollywood director Farah Khan, where it emphasized on the pleasures of being fashionable every day. The leading online fashion and lifestyle marketplace appointed Mullen Lintas for the campaign ‘Har Din Fashion Karo’. Voonik aim is to invite women to embrace fashion, every day. Voonik has launched the campaign digitally with its hashtag “#HarDinFashionKaro“. The one-minute video tells that how women, from all walks of life, can do fashion every day, from Saturday to Sunday. This company is in big plans for taking on board offline boutiques and launching chat-based features. At present, the app is aimed at giving recommendations to the customers but are not able to chat with the stylists. Sujayath Ali in press releases said they are working on Chat based feature which many customers have been requesting and are also aiming for $100 million in 12 months. Personally, he dreams to have a high-tech home office, completely controlled by voice and gesture, powered by Google Now or Siri.